Starting a horse barn is a smart approach to a person who is looking to rear horses in the long term. It is essential to consider the cost, the location as well as the aesthetic of the horse breeding farm. Another critical factor to consider is the species for breed. They can either be foals, broodmares, stallions, and yearlings. The size of the stall is also essential to put into account because the horses in the barn are quite young. The safety and sanitation of the horse farm are of importance. It will curb the possibility of spreading infectious diseases. The young horse is volatile, and special care is imperative to ensure that they grow in the perfect health. If the barn is breeding broodmares, there will be the need of plenty of playing space. This will ensure that the young broodmares are not hurt while playing around. The horses keep moving in and out of the breeding facility often, and this makes them susceptible to bacterial and viral diseases. Other times the horse might contract respiratory viruses. All these factors put into account when the designing the farm will bring out the best. Having smaller breeding operations is entirely necessary. However, the small breeding operations are house in one structure. If it is a large farm the broodmares, yearlings, and the stallions are all housed in separated barns. This ensures setting up of different paddocks because all the horse in the various stages of breeding live separately. Segregation also provides the minimal spread of disease in the farm. 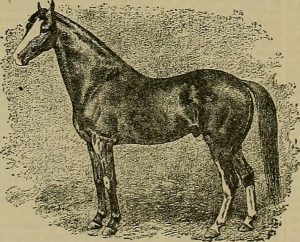 Horses that might have contracted any disease stay away from the rest in quarantine. Horses are more comfortable to manage if their behavioural needs of the horses are in check. It is therefore essential to ensure that the broodmares and the youngsters get the required amount of exercise. This will also cut the barn chores as well. Broodmares can live outside the barn depending on the climate for a good part of the year. The yearling can live outside only in segregated herds but only when there is adequate shelter when the weather is rough. When designing a horse breeding farm hygiene is of most importance. It is going to ensure that all the horse in the barn is in perfect physical health. The security of the horses is not left behind, and therefore adequate fencing is essential.